Clément Dazin’s Bruit de Couloir is a mesmerizing solo, and a deep and intimate homage to life. 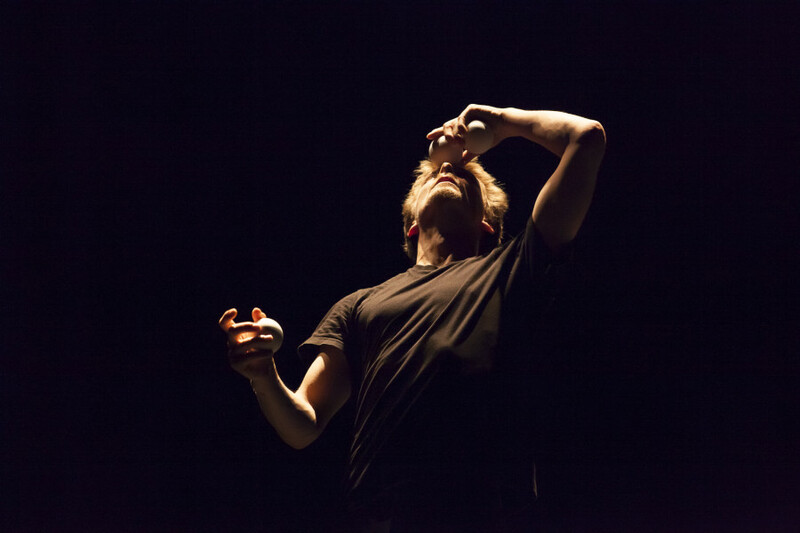 At its heart lies a unique choreographic style which links contemporary dance, Hip Hop and an engaging method of juggling in which balls are both manipulated objects and movement catalysts. 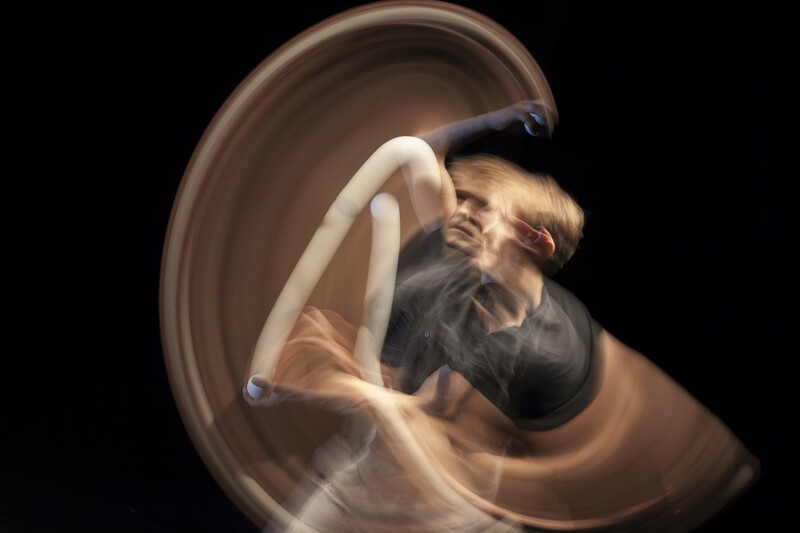 Fusing this individual style with the ingenious use of slow-motion, staccato, repetition and high speed movement, Clément cleverly confuses the audience’s perceptions of time to evoke the evolving emotions of life and ageing. Clément was interested in movement at a very young age and started gymnastics at the age of 6. 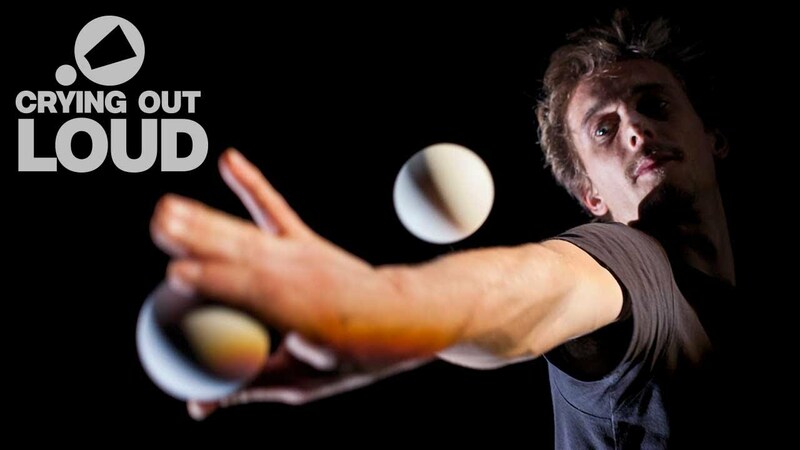 By the age of 16, he had developed an interest in circus, particularly juggling, and worked with an amateur company, Point Bar, where he discovered his interest in choreography. 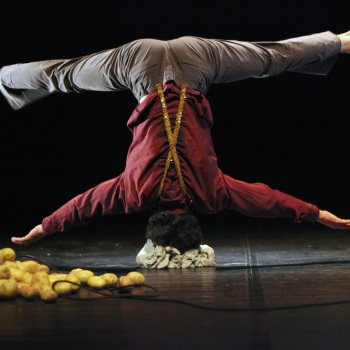 Before enrolling in Ménival, Lyon Circus School in 2008 and the National Centre of Circus Arts in 2009, he self taught by taking classes in Hip Hop, acrobatics, juggling and theatre. In 2012, he toured with This is the End, directed by David Bobee. 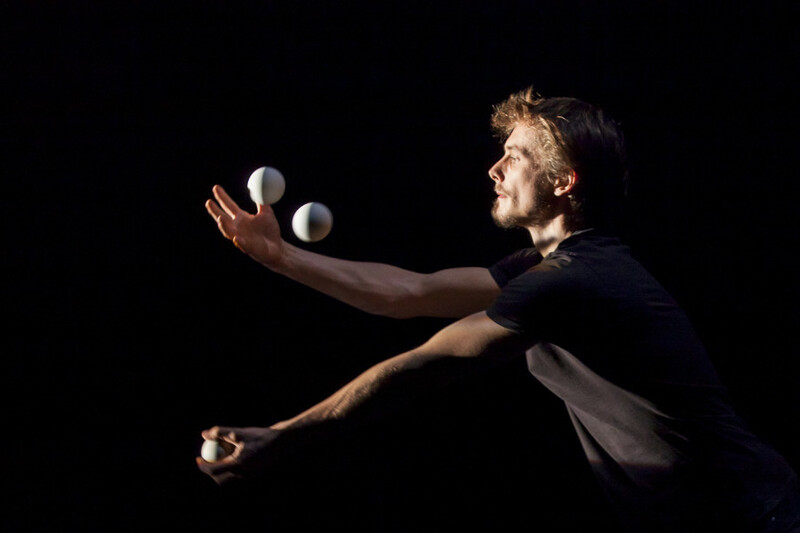 During Clément’s training, he looked for links between contemporary dance, Hip Hop and juggling to expand his vocabulary. For Bruit de Couloir he used these links and realised the benefit of taking each of the disciplines out of their environment. 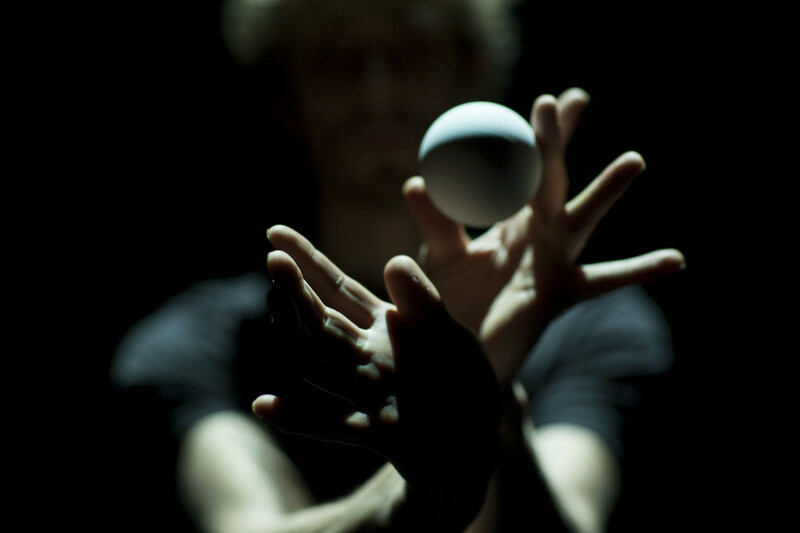 Thus, juggling is not limited to a technical demonstration of skill, Hip Hop techniques are used to create time distortions and contemporary dance brings a poetic side, breathing fluidity in to the choreographic phrases.